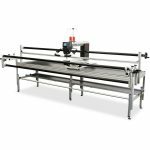 There are two ways to realign the safe area with the BERNINA Q-matic Longarm Quilting Automation System. My favorite way to realign when I am stitching out an E2E layout or a custom layout is Snap to Point. When the first row of your quilt has finished or you have filled the safe area with stitching, it is time to advance your quilt to realign your safe area. 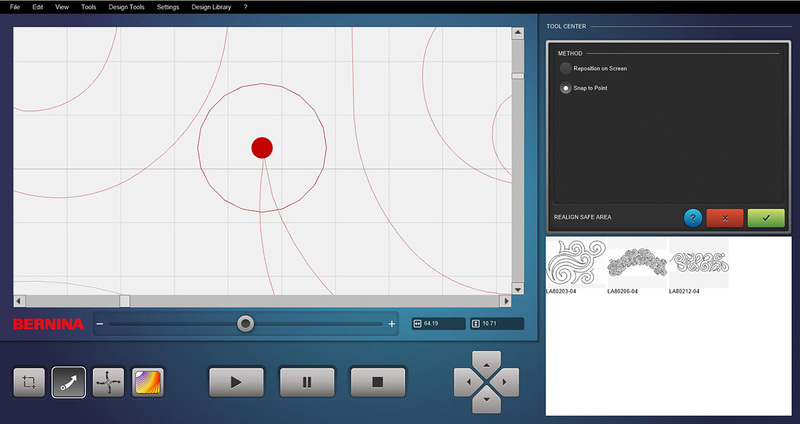 Using Snap to Point in Realign Safe Area in the Tool Center in Q-matic is the way we are going to realign today. • Select the row on your computer screen that you just finished stitching. This is so that you know for sure which row you are using to realign to. 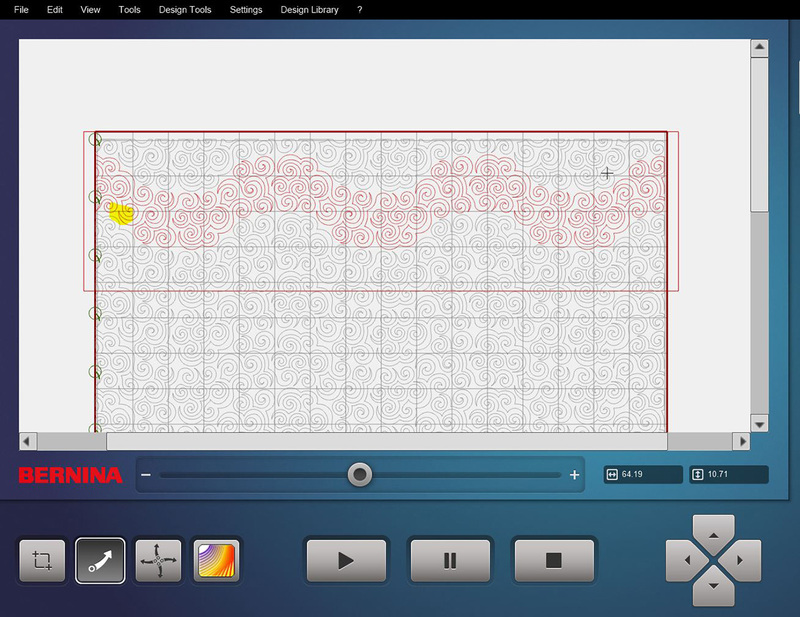 • Find a reference point on the already stitched row that you want to use to realign to. • Select Snap to Point. 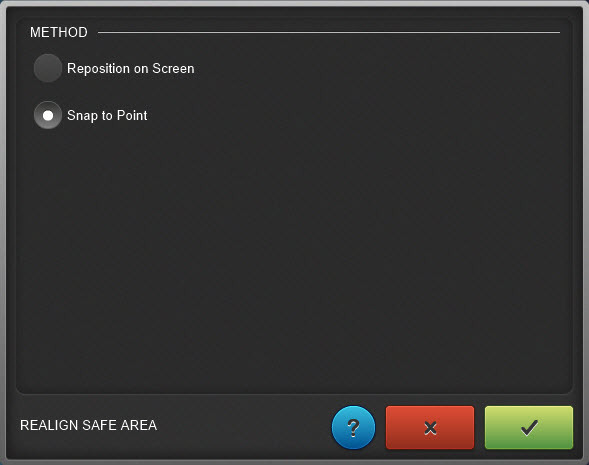 • On the computer screen select the reference point you want to realign to. When you touch it or click with a mouse, you will see a red dot on the reference point you have selected. If you zoom in on this reference point the red dot will be quite large. 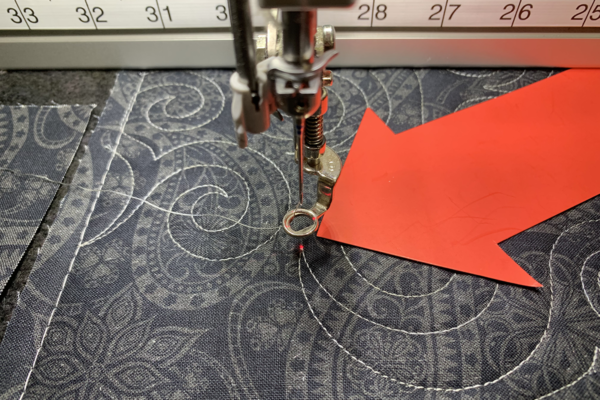 • Move the machine to the same reference point on the stitched design. 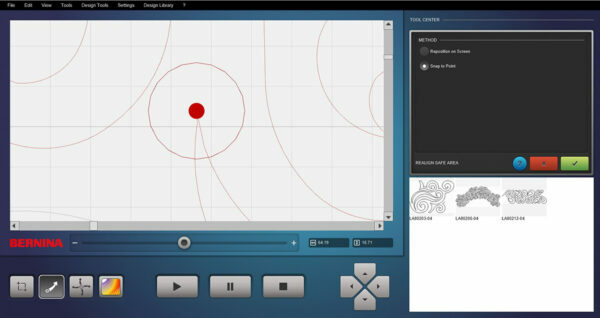 The design is the same one selected on the computer screen. Be sure and place the needle right on that reference point. The Needle Point Laser will help you get right on the spot you need to be. 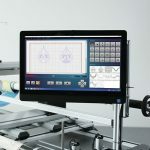 • When you have both the machine needle on the stitched design and the red dot on the computer screen at the same place in the design, select the check mark in the green box to Confirm. After confirming you will now see that the crosshairs of the needle are at the reference point you selected. • Select the Play/Start Arrow. 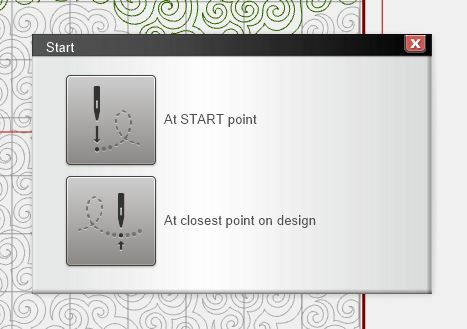 • You will be prompted to select At START point or At closest point in design; you will want to select At START Point. 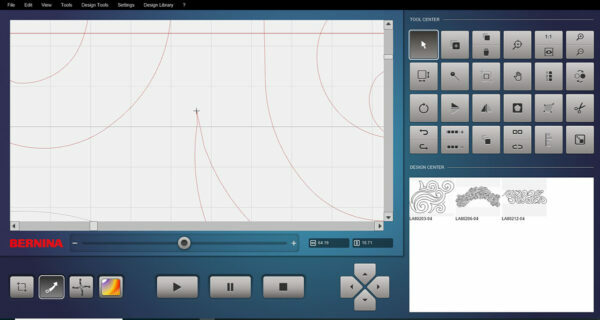 • The machine will now move and the screen will prompt you to pull up the bobbin thread. When you Confirm with the check mark in the green box you are all lined up and ready to stitch away.